I have to admit that this past weekend in Asheville, NC was really the first time I felt "normal" in a long time. We packed up, went on a trip, had fun--just like normal. 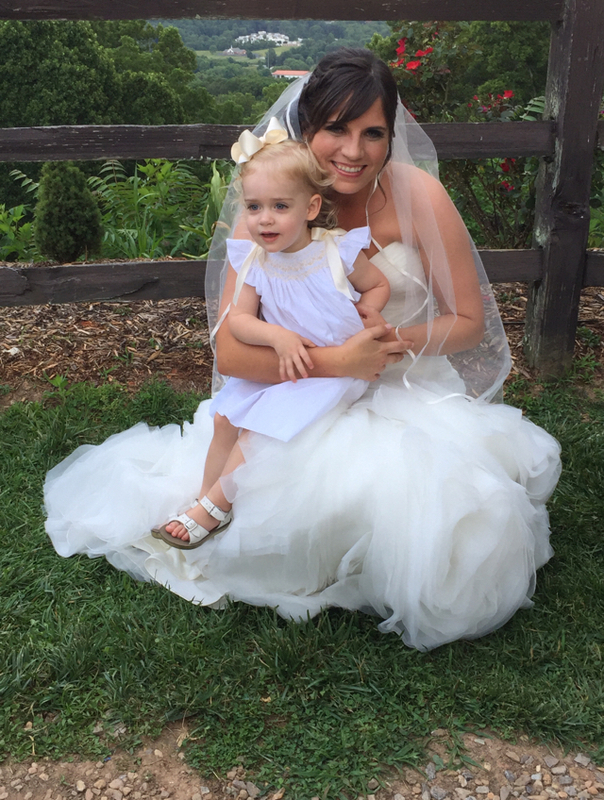 It was a great time spent with family celebrating the new life of a wonderful couple! Here is a look! We left home Thursday at lunch. 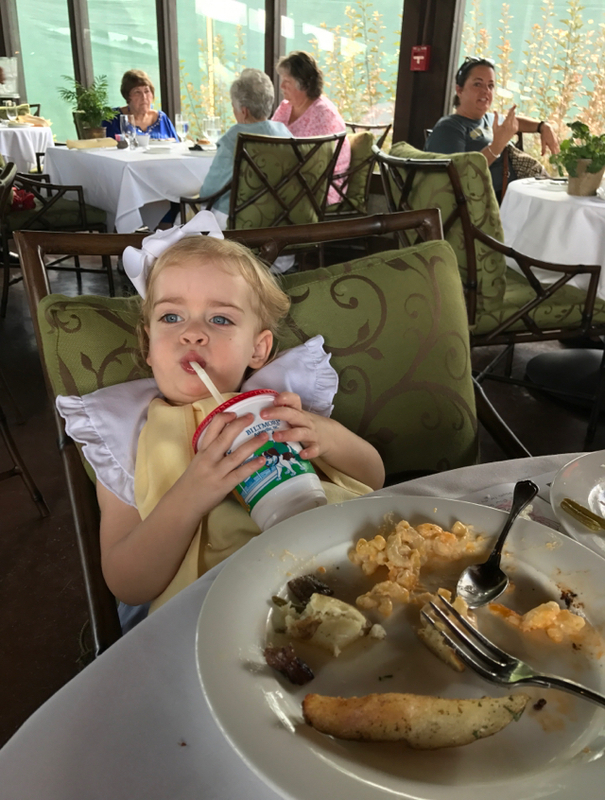 Charlotte took a 2 hour nap in the car (unheard of with her--typically she won't sleep more than 45 min in the car) so she was refreshed and in a good mood when we arrived at the Biltmore Village Hotel. 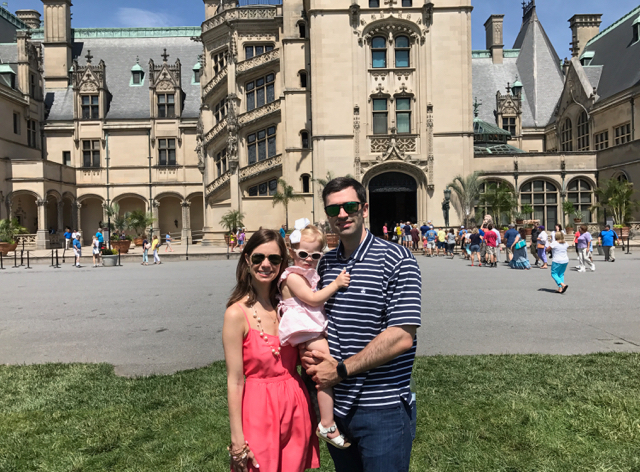 I was SO excited to be staying on the Biltmore property! Aside from being gorgeous, there were tons of activities right at our doorstep! That evening we met up with family and friends at the Red Stag for dinner and drinks and to kick off the wedding weekend. I took zero pictures, which is super sad because C looked darling and I really loved her outfit. 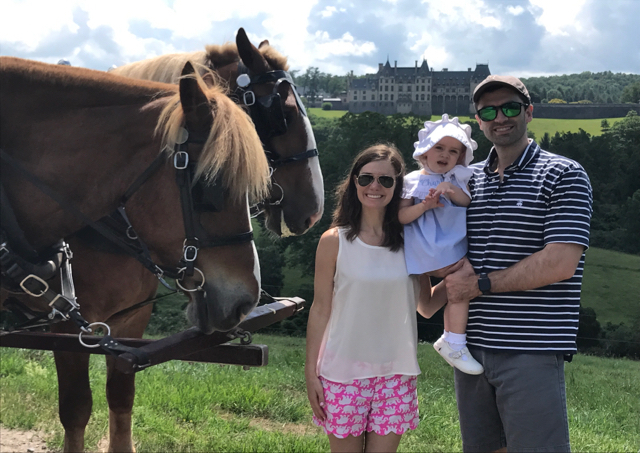 The next day we headed to the Biltmore house. Charlotte was so excited to ride the shuttle bus (an excellent perk of staying on the estate), and as we came around the corner and the house came into view, she screamed "Beauty and the Beast!!!". She thought the home was Beast's castle and spent the entire tour saying "Belle, where are you??". It really was the cutest. 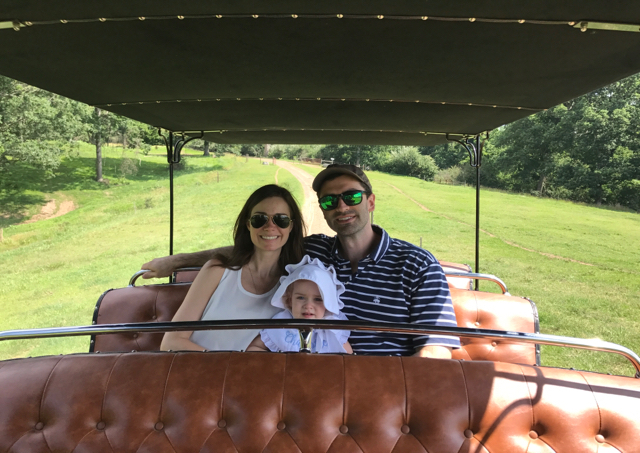 We met up with Aunt Paula, Charlotte's godmother, and Uncle Tom for lunch on the estate before heading to the petting zoo. While we napped, Forrest went to the rehearsal and we met him at the dinner at 12 Bones afterwards. This was a funky BBQ place and C loved that she could color on the walls! The next morning, Forrest attended Range Rover driving school. He did a timed test and so far is the fastest time and if he wins, he gets a trip to drive in Peru. I don't think I will join him on that--I have had plenty of the Peruvian wilderness to last a life time!! Charlotte and I had breakfast and then headed to the stables for a carriage. Forrest was able to meet us in time and we really had a great experience on this tour. Charlotte loved the horses, Bob and Jay, or "Hadley's daddy" as C called him. The guides were very informative, views spectacular, and the ride was so pleasant. I highly recommend!! Afterwards we went to the Lioncrest for a delicious lunch with Davis and Megumi. We also took a quick swim in the hotel pool before sending Forrest off to hang with the groomsmen. Of course we girls took a nap before getting dressed and ready for the wedding. The Crest Pavilion was a lovely setting for a wedding and even though it was super hot everything was gorgeous. Charlotte loved seeing the bride and bridesmaids (princesses to her) all dressed up but she did NOT like that Forrest was standing in the front. At one point she said "I want my daddy" quite loudly and I had to clap my hand over her mouth. When the groomsmen processed out after the wedding, she couldn't take it and ran to him and walked out with him. Luckily I was sitting in the back on the end so she didn't have far to go. What can I say, my sweet girl loves her daddy. 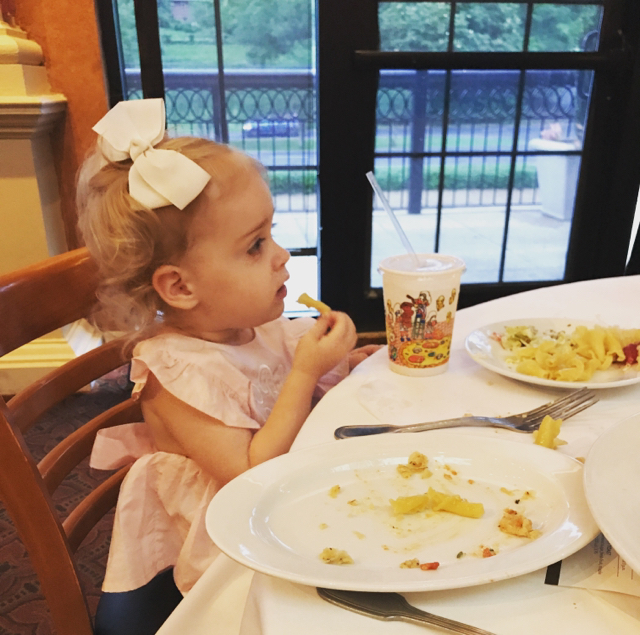 We had a fun night celebrating and dancing with our family before she got too tired (and maybe hit Uncle Davis) and we had to go home. The next day was Father's Day and we celebrated Forrest by letting him safely drive us home. He is so good to us and works so hard for us and we love him so so much! 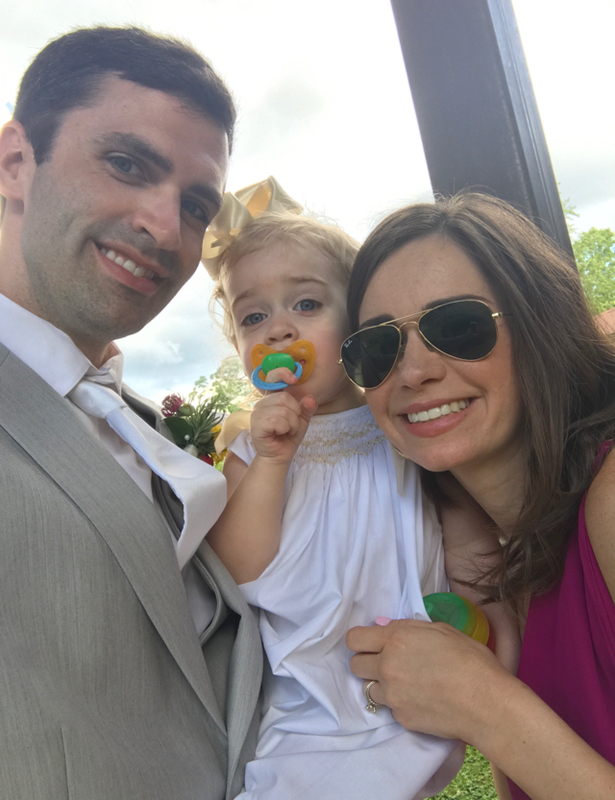 The weekend was a great success and a wonderful way to spend time with family while celebrating Aaron and Karina, Father's Day, and our anniversary as well! We always love the Highlander's dance! 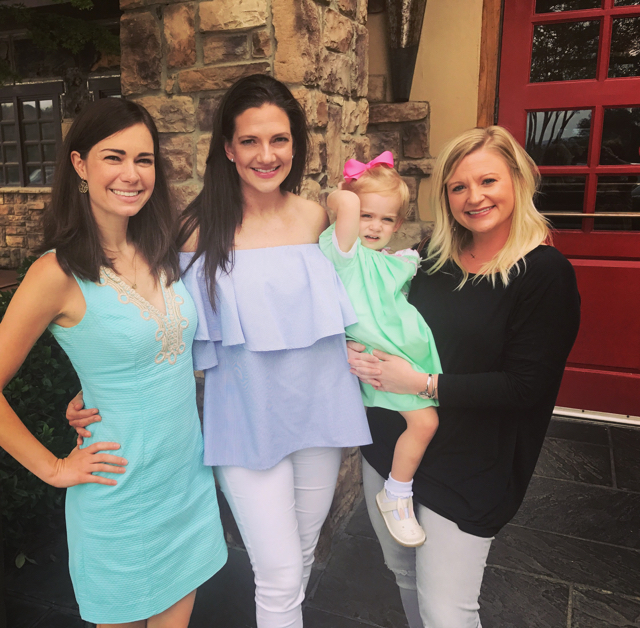 We celebrated baby Becca's baptism. 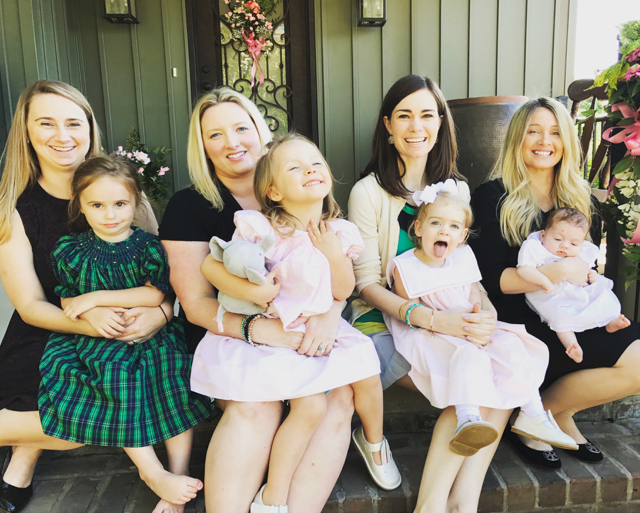 Forrest is her godfather so we say that she and Charlotte are "God sisters". 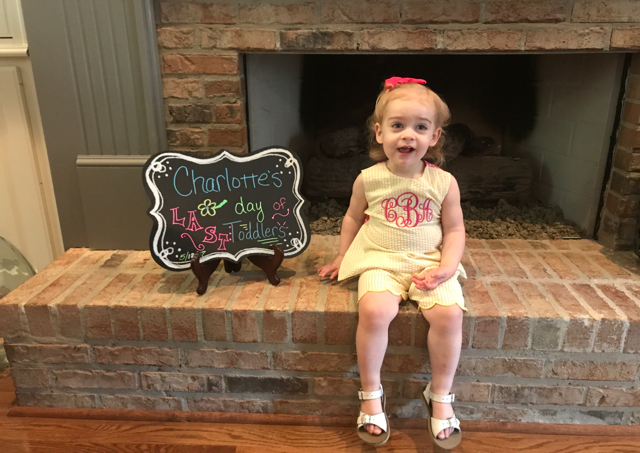 It was a special day and Charlotte loved seeing the baby and her nae nae. 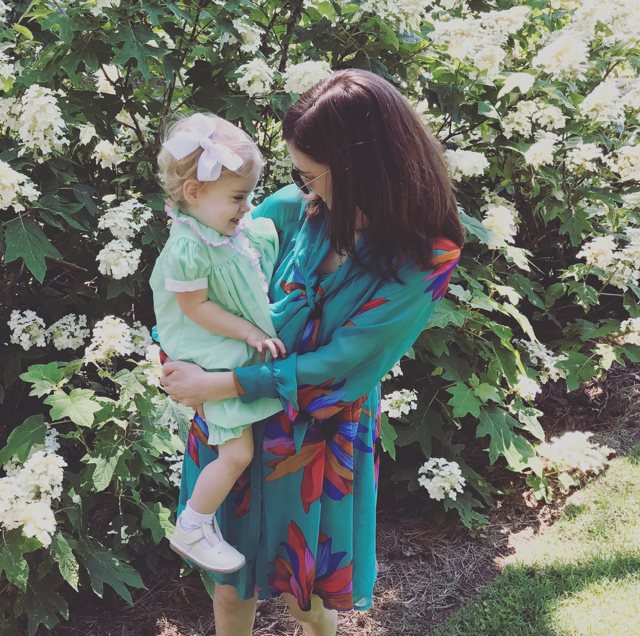 Mother's Day with my precious one! 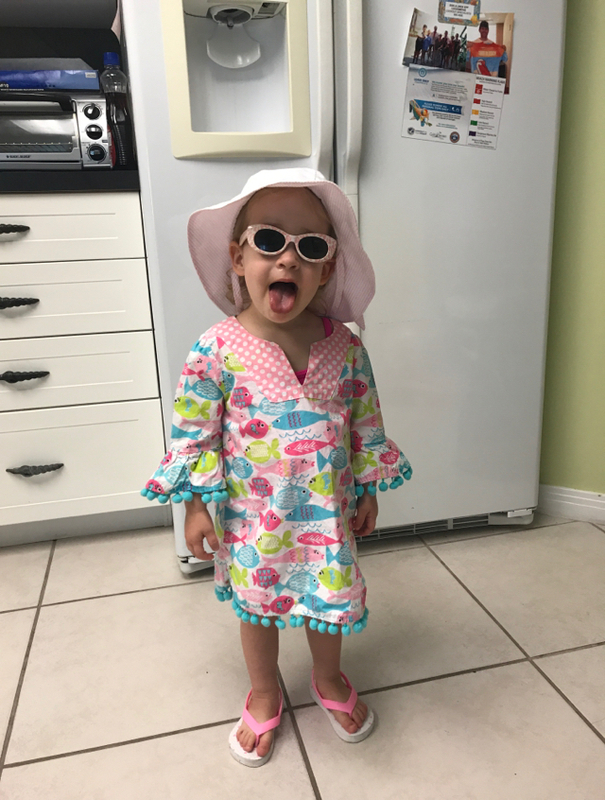 Last day of toddlers!! The year has flown by and she has grown and learned so much! Last day of singing sprouts! What a fun year. Charlotte loves all of the songs and can't wait to go back this fall! 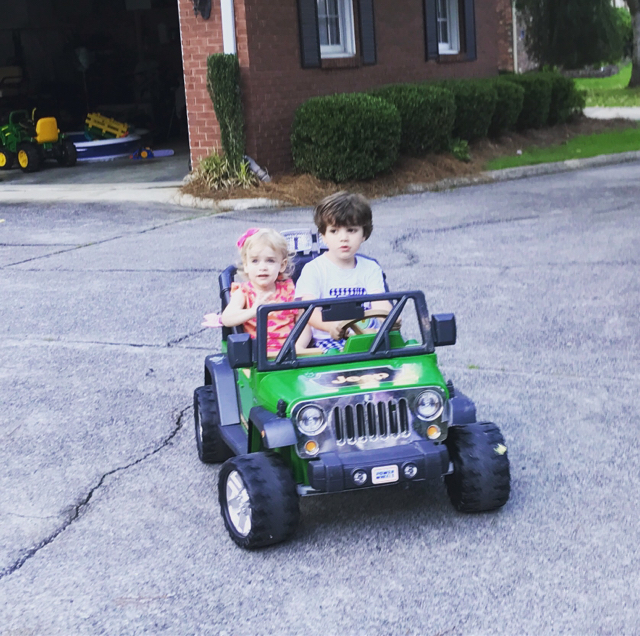 The warm weather means we get to play outside, and playing with our neighbors is the best! 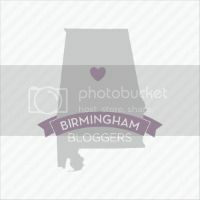 We spent Memorial Day weekend in Birmingham with family. It was a weekend jam packed with fun! 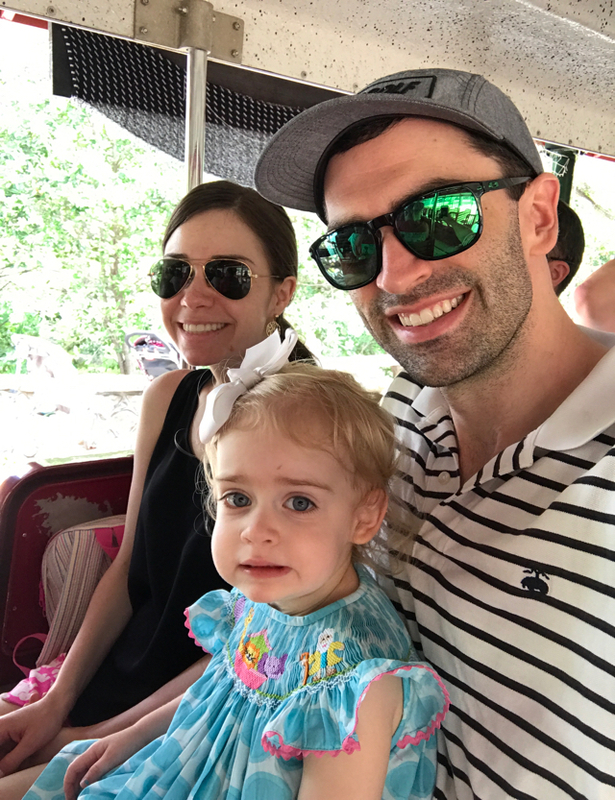 Pirate train at the zoo! Dinner at brio with momsie, mini, aunt fran, mommy and daddy! Looking like such a big girl. Learning to swim with her puddle jumper in Mimi's pool. 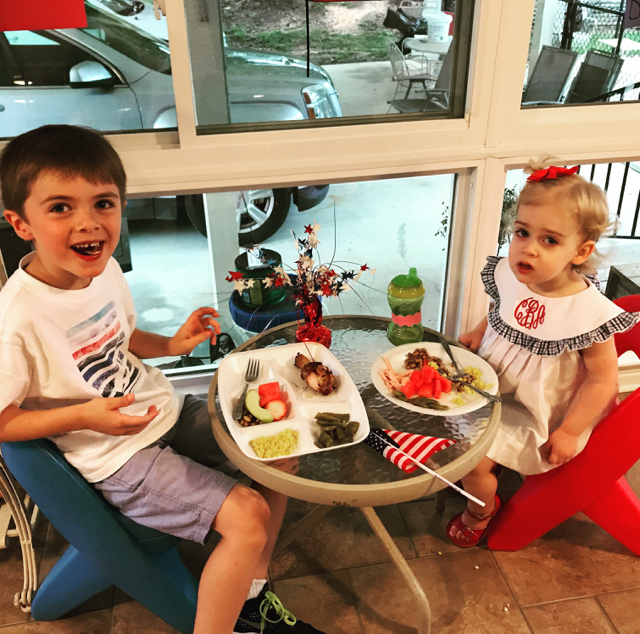 On Memorial Day we had dinner with the baileys at aunt Debbie's. 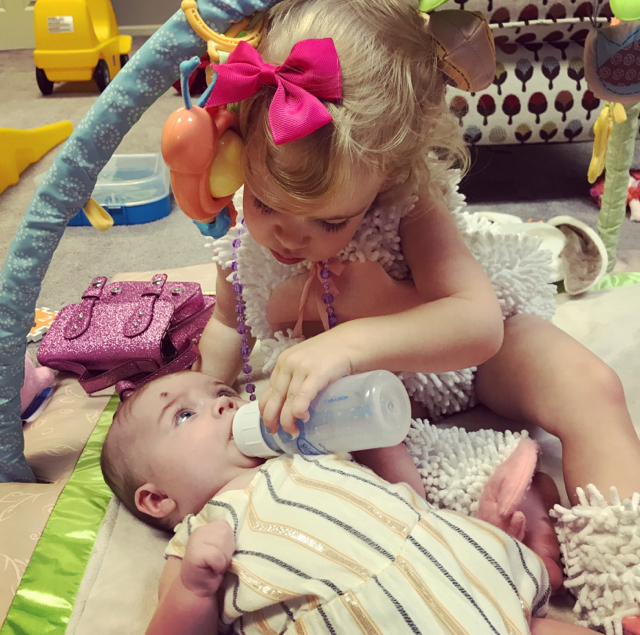 Charlotte loved playing with Brooks! Even bought it was a hard month it was full of fun and love. We are truly blessed. C: Mommy, don't shut me out! Me: what does that mean?! C: mommy you not say that to me! 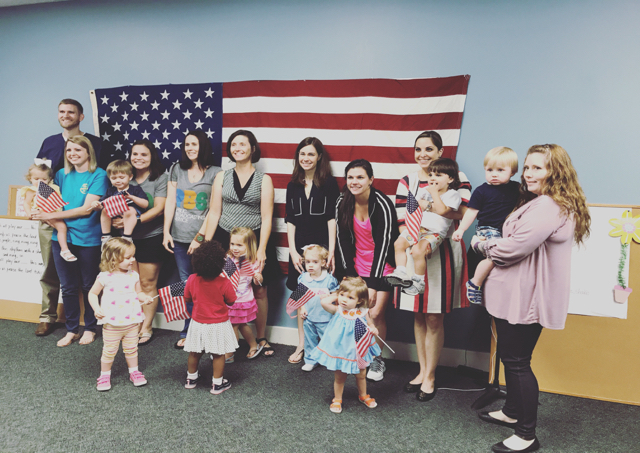 Me: I'm the mommy, I get to tell you what to do to be safe. 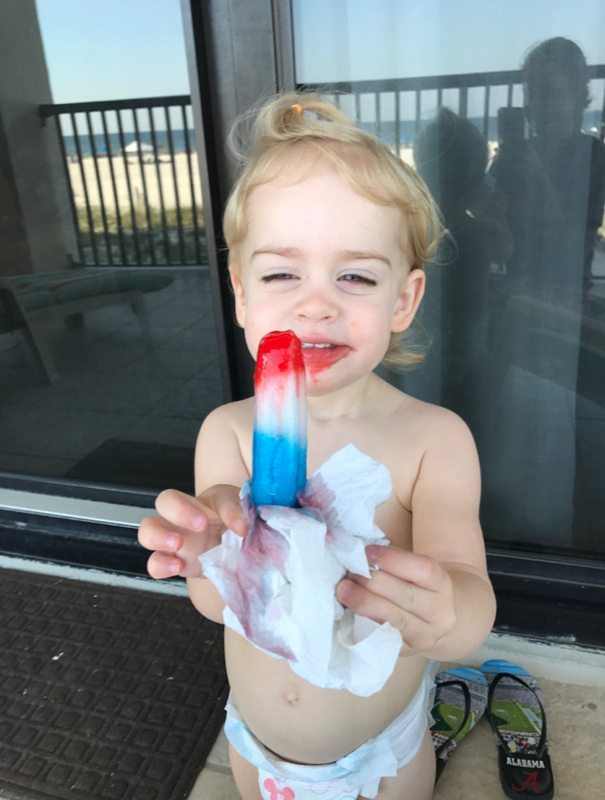 You don't tell mommy what to do. C: I is a mommy. I have my own babies. Clearly we have an independent lady on our hands!! 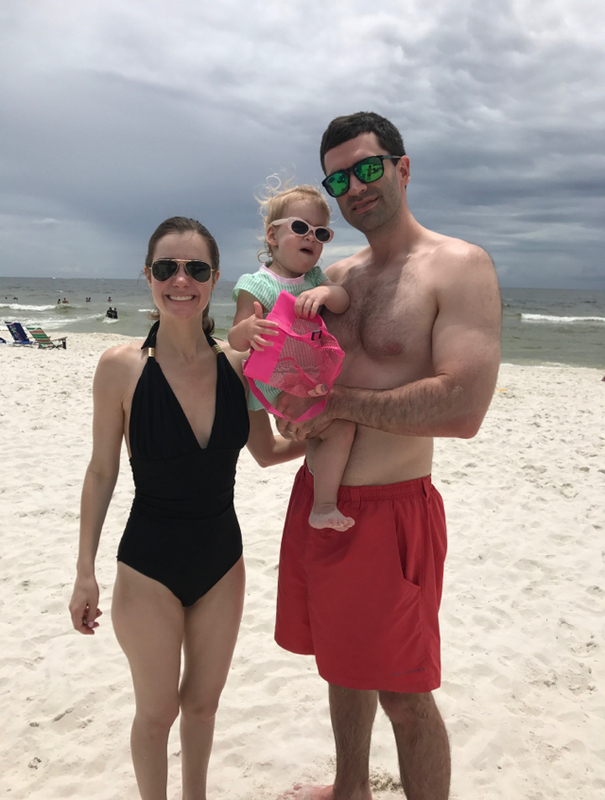 We did have a wonderful family beach trip this month. It was nice to get away from it all for a while and relax. 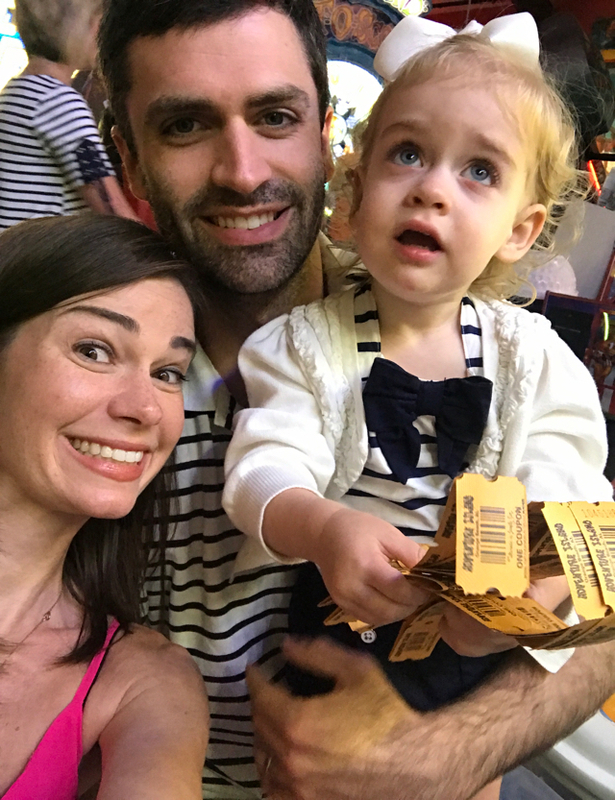 It was especially nice to spend time with our family in a fun, stress free environment. 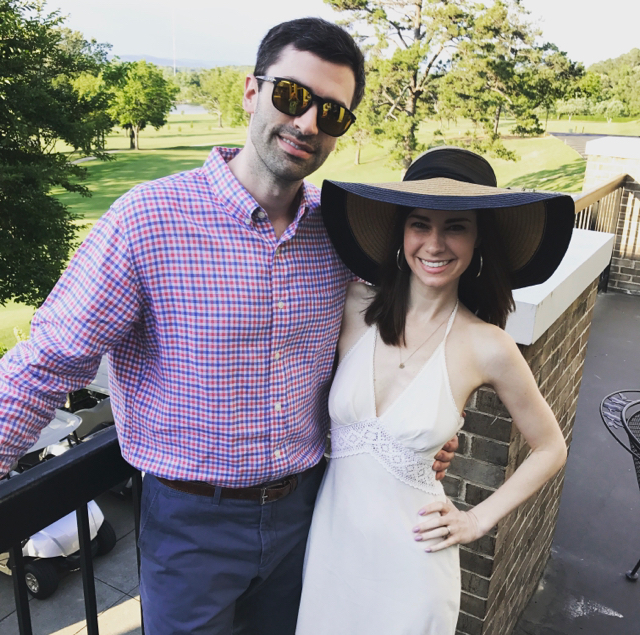 The next weekend we went to Asheville North Carolina for Aaron and karinas wedding! See my separate post on that! The next weekend was loaded with fun too! We started early on Thursday with Isaac and Rachel bringing baby Becca over for dinner. We got to let her have her first taste of watermelon and Charlotte loved giving her a bottle. 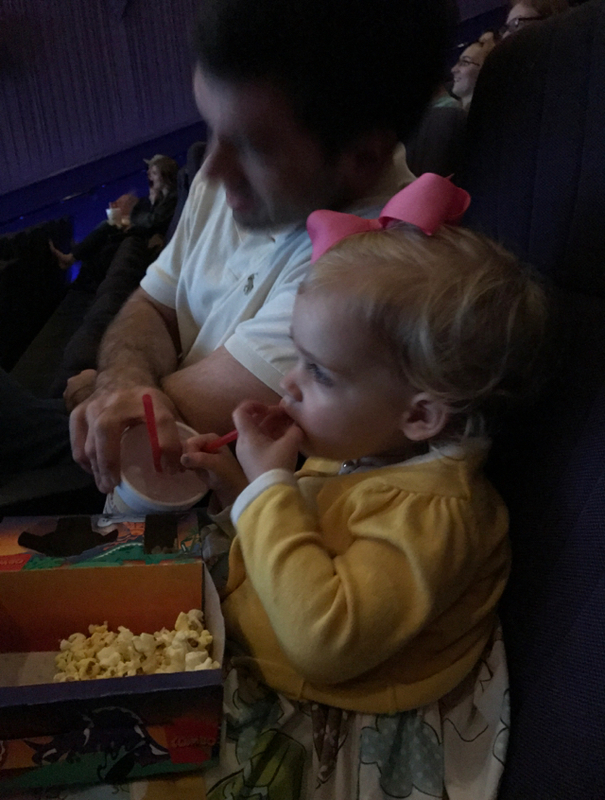 On Friday we went to Charlotte's second movie, cars 3. We still didn't make it to the end but she enjoyed it. On saturday Charlotte and I had a big girls day. 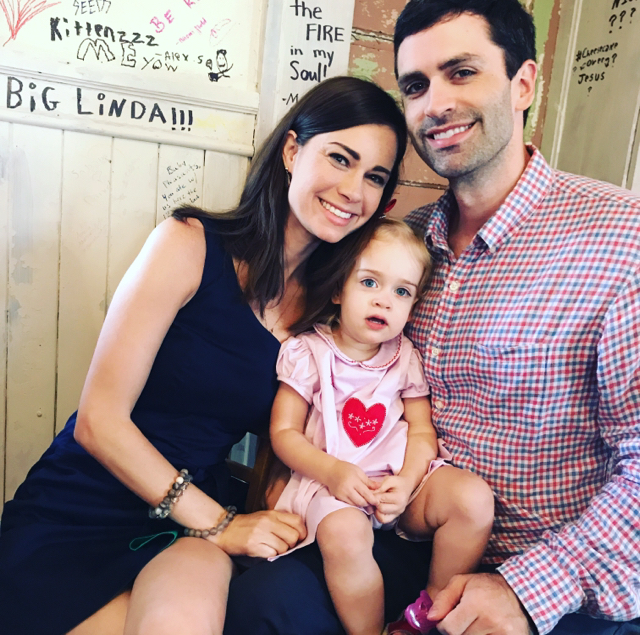 We went to Erin's baby shower. 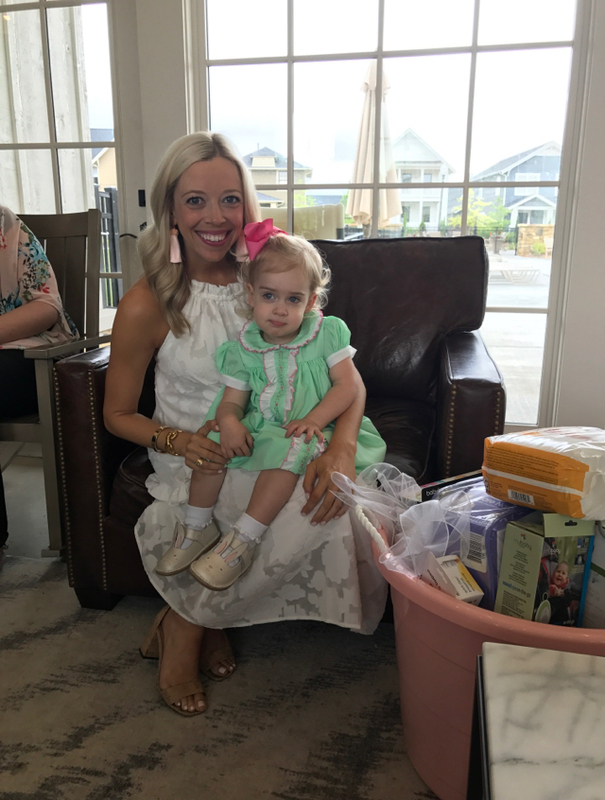 Charlotte loved helping open the presents and I loved catching up with sweet sorority sisters. Afterwards we met Deborah, Randi and carla to celebrate Deborah's birthday. 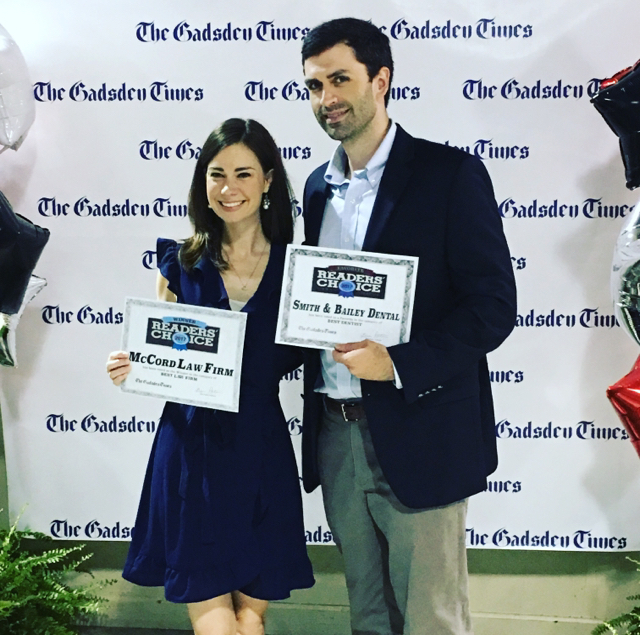 That evening, forrest and I went to the Gadsden times readers choice awards banquet. I was so honored to receive the prize best law firm and forrest picked up smith and baileys favorite dentist award! Charlotte's sleep went a little wonky this month. She started waking up screaming two times a night and wanted us to lay with her. Finally that stopped but she likes for us to lay with before she falls asleep. I know this is kind of a bad habit but she has had an unsettling few months and so I don't mind reassuring her we are here for her. 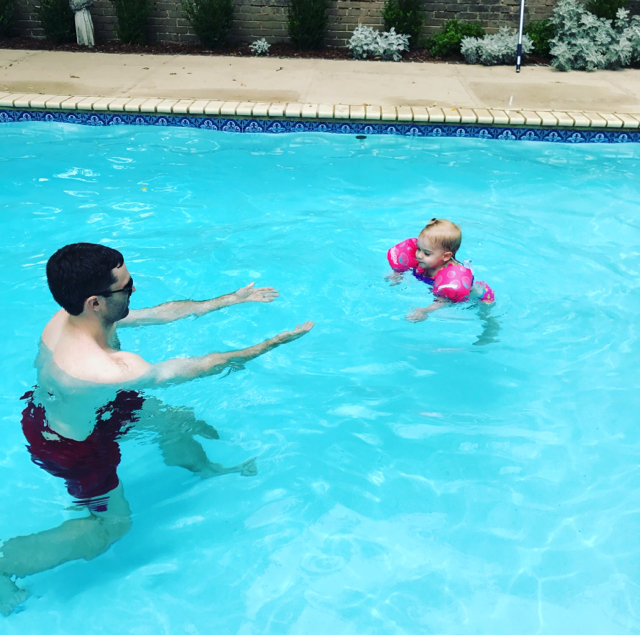 Another major step we took this month was to put Charlotte in swim lessons. She has zero fear of the pool so I knew this was a must. She cried every lesson but she was rave and learned to swim under water to the wall and reach up for help. Since her week of lessons she has wanted to swim under water on her own! We are so proud of her! 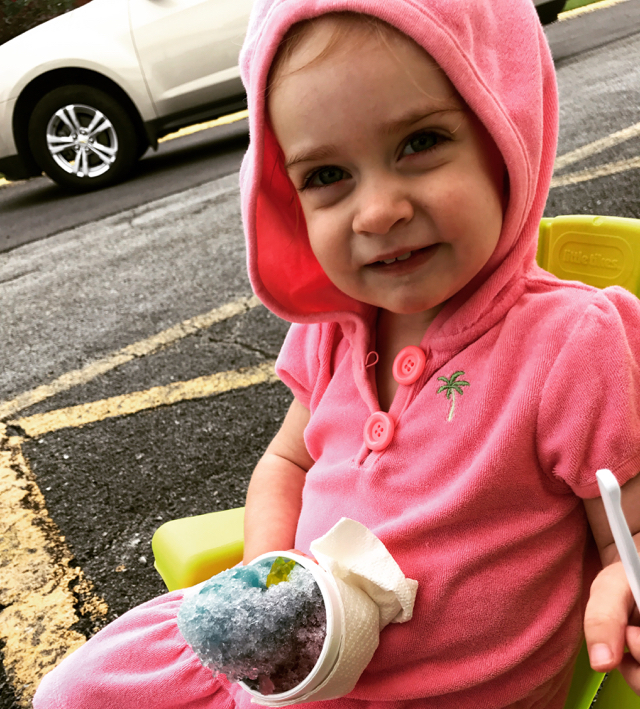 After swim lessons she got to go get a snow cone! 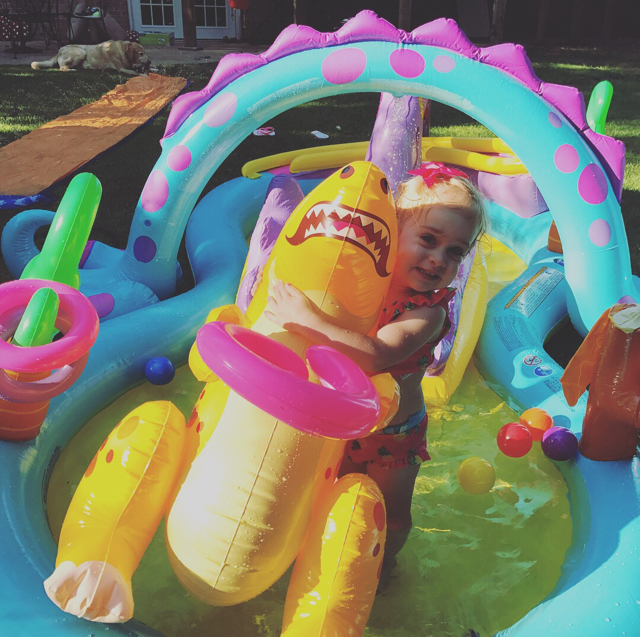 And as a prize for finishing all of the lessons, she got this awesome dinosaur pool! It was hit! !